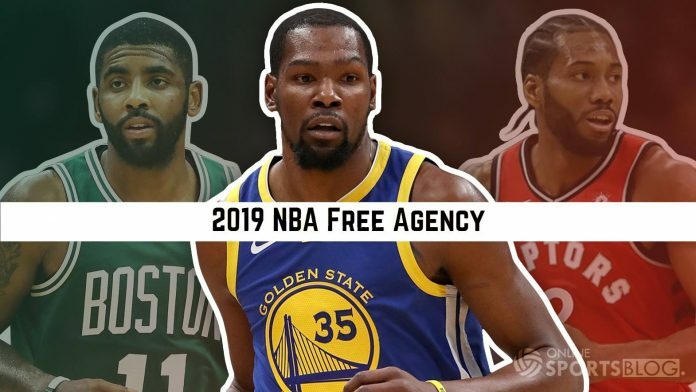 The NBA playoffs have just begun, but it’s never too early to start thinking about free agency. Several prominent players are expected to hit the market this summer. 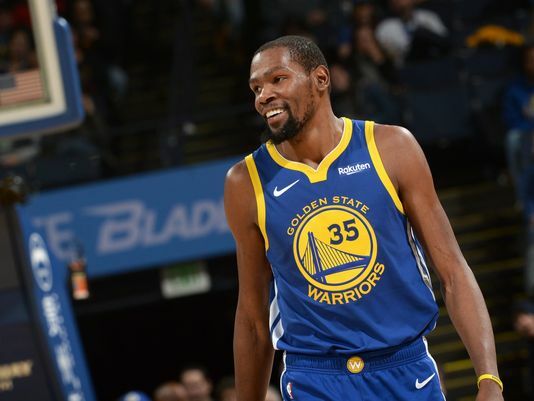 After the shakeup that the league received last season when LeBron James was a free agent and joined the Los Angeles Lakers, Kevin Durant’s decision on whether or not to stay with the Golden State Warriors could have similar implications. As is true with any collective bargaining agreement, there are some tricky details associated with free agency, so we’re here to help you get all the details and answer all your questions before the feeding frenzy begins. Monday, July 1 at 12:01 a.m. 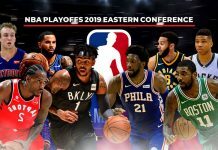 ET is the beginning of NBA free agency for the 2019-20 season, and players will then be free to meet with teams to discuss terms on a potential contract. However, no free agents can actually sign any contracts (with a few exceptions) until noon ET on July 6. Why? We’ll explain below. For the most part, no contracts can be signed during the negotiation period between July 1 and July 6. This rule was presumably put in place to allow both players and teams to fully think through their decisions before putting pen to paper. There are very specific exceptions, which we’ll get into below. But first, let’s look at the top potential free agents. Who are this summer’s top free agents? Teams may sign their first-round draft picks (to a standard rookie “scale” contract). A restricted free agent finishing the fourth season of his rookie “scale” contract can accept a maximum qualifying offer. No. Any agreements made without pen officially going to paper are simply promises — both players and teams have the ability to go back on them. 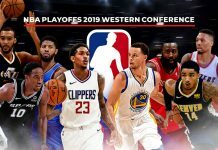 This is generally considered bad form and rarely happens, with the most recent major example coming back in 2015 with DeAndre Jordan, who famously rescinded on his verbal agreement with the Mavericks after being held hostage by the Clippers in his Houston home. What’s the difference between restricted and unrestricted free agents? Never! Players can continue to be signed throughout the year if they haven’t found a team by the start of the 2019-20 season.